Will cars become the new mobile? It seems slightly crazy to be talking about ‘the new mobile’. It seems like mobile only recently became the new mobile and I can’t even remember what it was before that. Such is the speed of change in this digital world of ours that simply by proclaiming something ‘new’ makes it old. What I find particularly interesting at the moment though is that it seems it is more reinvention than invention. The ‘internet of things’ is in the process of breathing new life into a host of everyday objects. I heard today about a company that is developing a lock that will text you if it is being broken into; I have heard about belt buckles that will alert family members if elderly relatives go on an unexpected walkabout; shoes that analyse the way you run, even toilet paper holders than text you when they are about to run out (ok, maybe I made the last one up). All of sudden every physical thing around us has an opportunity to become something else. The thought is actually overwhelming. Can we deal with that much information? Do we need it? At what point does it become too much? In a dot.com-esque way there is no doubt that there will be many missteps along the way but there is no doubt that the ‘internet of things’ is set to revolutionise our lives and there is one piece of everyday equipment which I think has the potential to become ‘the new wearable mobile’ and that is the car. The idea of the car that is more than the car has been with us as long as the car has. In 1938 at the New York World Fair General Motors predicted that motorists would be able to simply type in a destination, sit back and relax (http://www.economist.com/news/business-and-finance/21618531-making- autonomous-vehicles-reality-coming-street-near-you). Those of a certain generation will have dreamt of having their own Kit that could not only talk to them but could save the day against any baddy out there (and there is always the Batmobile of course). Cars have always had huge potential and right now we are on the cusp of that potential being realised. As far as platforms go cars have far more to offer than the mobile phone. They don’t just tell you where to go, they can take you there. The computing power in the average sedan is already overtaking that of a smartphone. Sensors help us park, keep us from getting too close to other cars on the road, alert us to obstacles, sense and adapt to different weather conditions, open garage doors. We can call, email, surf the web, watch movies. Almost without us noticing cars have become a whole lot more than four wheels and an engine. The reality is however that we have barely scratched the surface of what is possible. With the exception of mobiles and computers, cars are the machines that the majority of us spend the most time engaging with and now we have the possibility of them communicating with their surroundings? This not only opens up the idea of the self-driving car but of a whole transport network that is communicating internally. Cars talking to each other, to traffic lights, to buildings: Cars that are monitoring you as you drive, evaluating your behaviour and adapting accordingly, communicating with people and places. Imagine a car that can not just call for help from an accident but automatically request an ambulance? Cars that can prepare your house for your arrival or come and pick you up when you have had more than half a pint? The thing is once we no longer need to concentrate on the road that frees up the time we spend travelling to do other things. 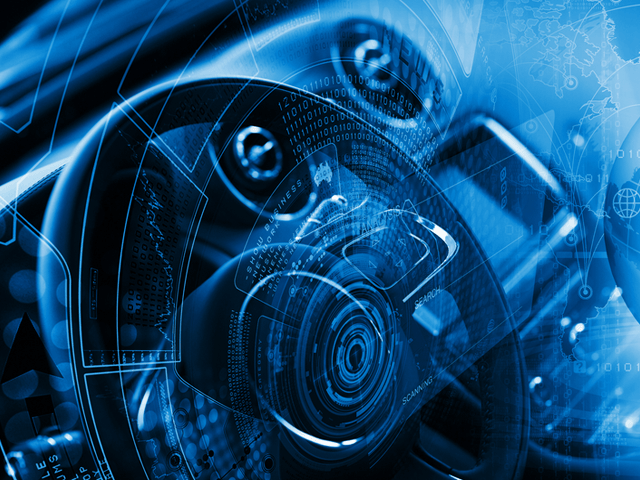 Retailers need to consider whether a car will become the next device from which people will shop and how they can exploit tech to connect with it. Unlike the mobile it doesn’t need to be small enough for us to carry round – in fact it will be carrying us around. What would you do with a screen the size of a windscreen if you didn’t need to be able to see out of it all the time? All of this might seem a bit fantastical but when you consider how mobile has exploded in the last five years perhaps there is a chance that I will be taking delivery of my very own Kit sometime before my 60th birthday.